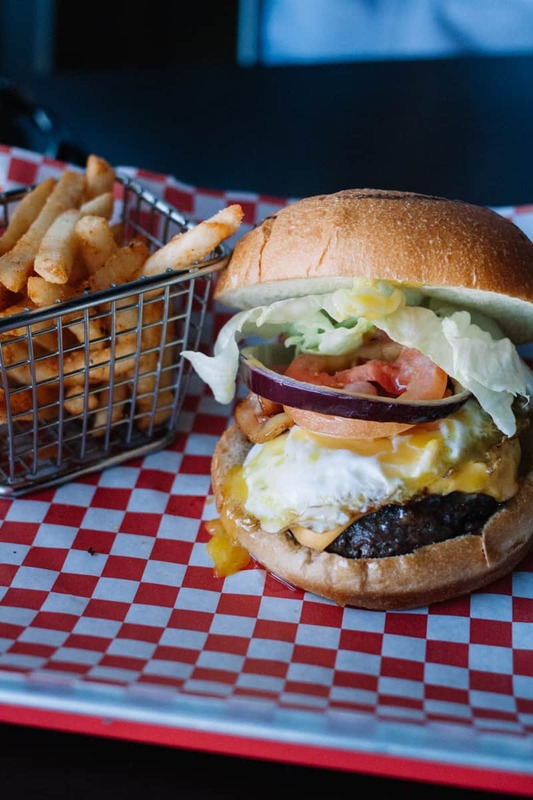 My husband and I go fly-fishing in the Heber/Midway area fairly often, and we’re often craving a juicy, filling burger after being in the sun all morning. 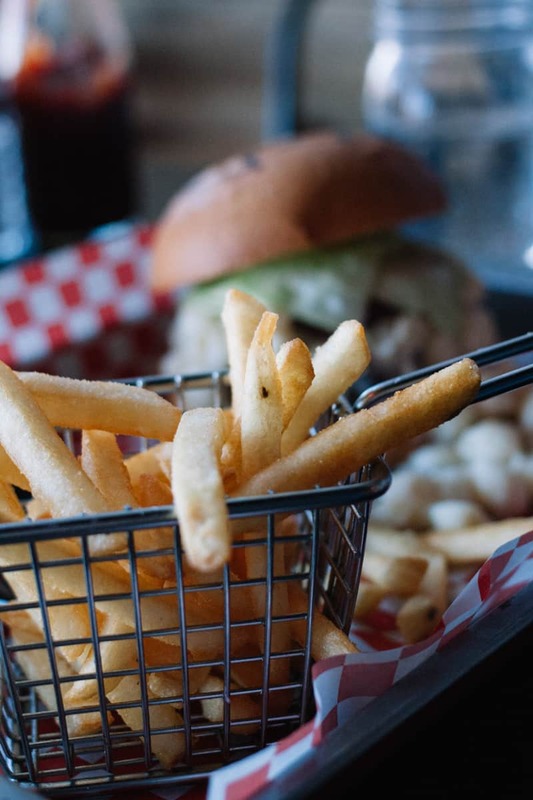 We’ve been making our rounds around the Park City restaurants in search of the best, most moderately-priced hamburger, and Burgers & Barley is definitely high on our list after trying it earlier this month. It doesn’t look like much from the outside – a little tiny space tucked into a strip mall – but once you step through the doors, you’ll love the hipster bar vibe this place gives off. 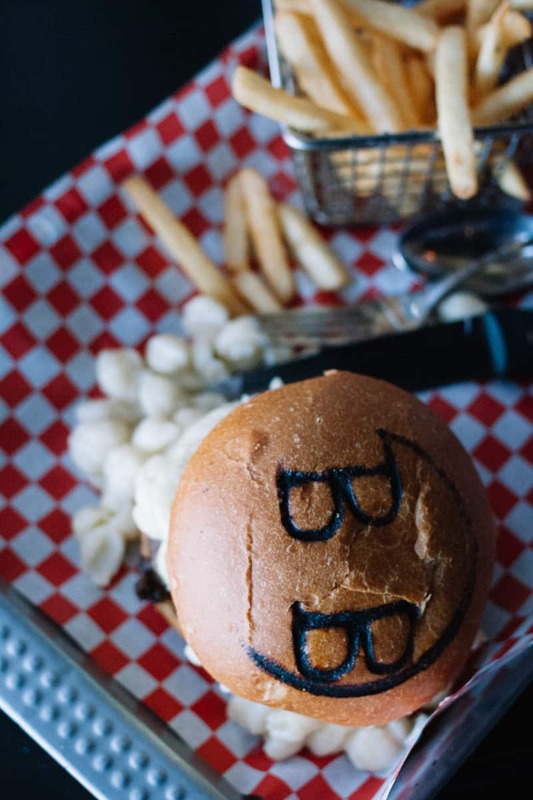 Their menu is large, with every kind of burger you can think of, from the Huckleberry (blueberry jam, bacon, and brie) to the Rasta Monsta (a Jamaican jerk spice burger topped with pineapple and mango). We were starving, so we sat down and immediately started looking at all our options. Craving all the carbs I could pack into one meal, I ordered the mac & cheese burger and Colby got the Goodnight, a mashup between a burger and a breakfast sandwich. We got two sides of fries as well – one regular and one Cajun-style. The food came out quickly and we dug in. 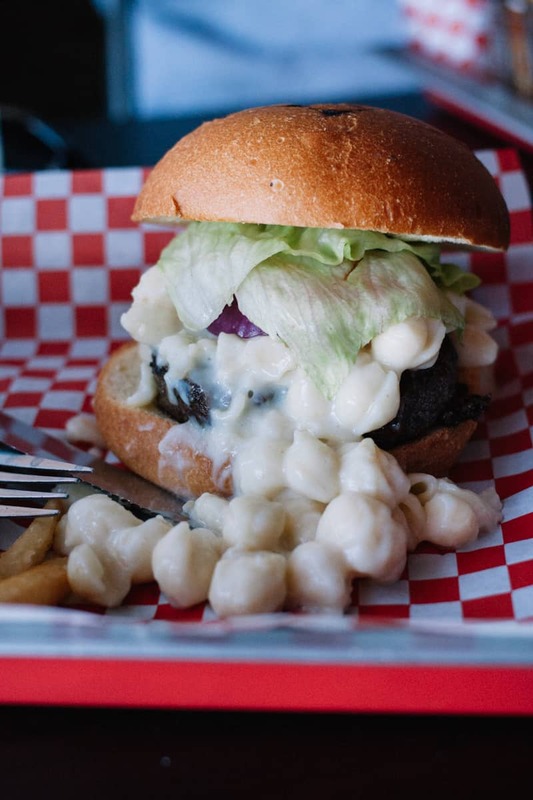 The mac & cheese was creamy, warm, and overflowing out of the burger, which was also piled high with lettuce, tomato, red onion, and pickles. 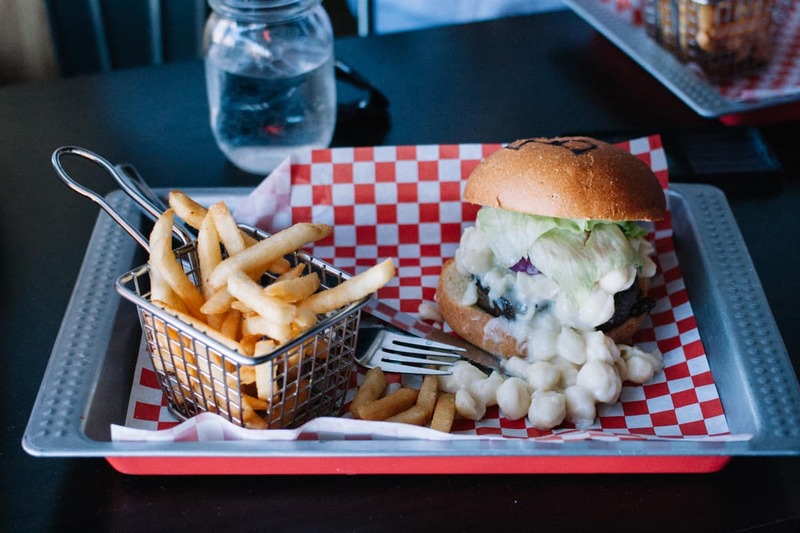 I couldn’t decide whether to grab a fork and inhale the pasta or to take on the burger itself. I ended up alternating between both, as well as chomping on some fries in between, which were cooked to crispy perfection. Colby’s burger was a combination of applewood bacon, a sunny-side up egg, bourbon maple syrup, and American cheese and it looked divine. The flavors worked together well and the egg had the ideal runny yolk. We both loved the hamburger buns and thought the produce was fresh and delicious. The Cajun fries were mild – just the way we like them. 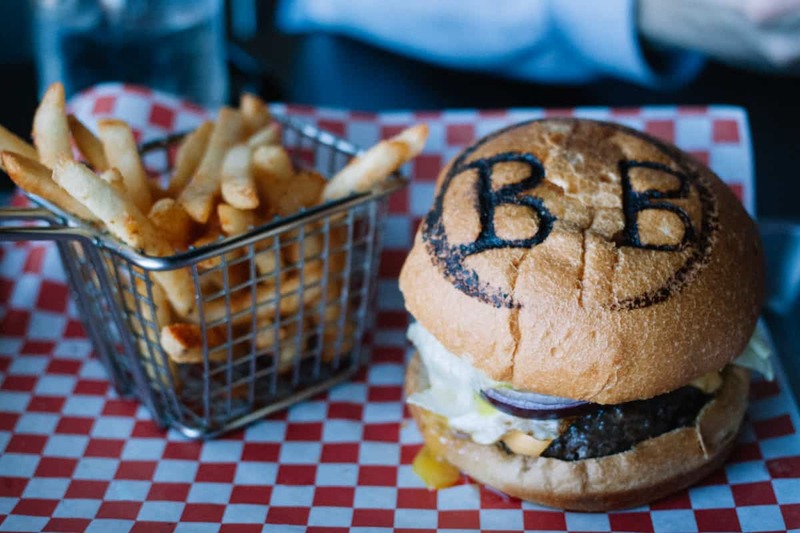 So next time you’re in Park City looking for a decently priced, yummy burger – head to Burgers & Barley and check it out! You’re bound to find a flavor you’ll love.